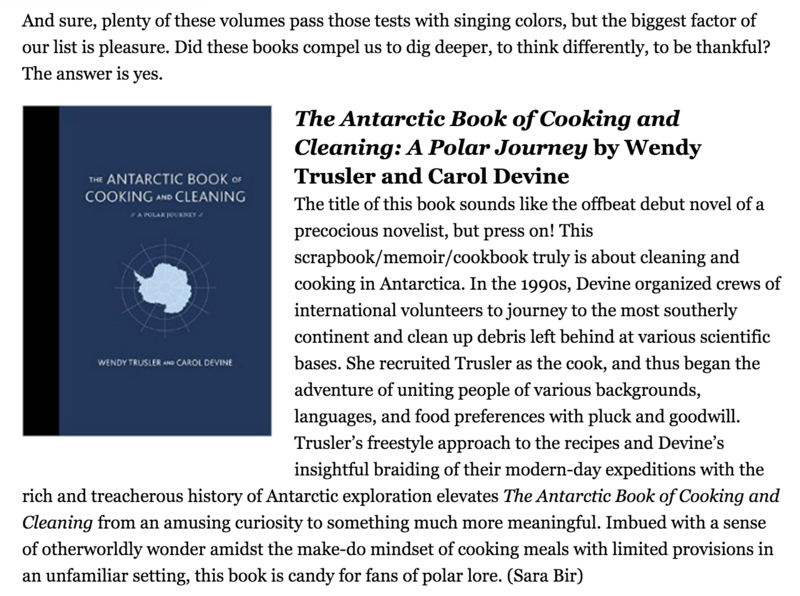 The Antarctic Book of Cooking and Cleaning will be published for worldwide distribution by Harper Design. RELEASED May 5, 2015 (Australia June 1 and UK June 4). To see where to buy it. 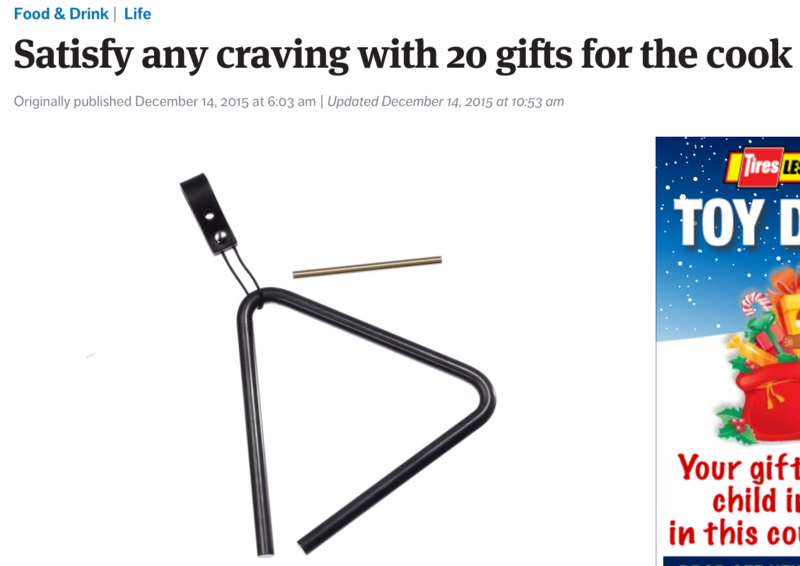 Food & Drink section of The Seattle Times also includes The Antarctic Book of Cooking and Cleaning for the cook’s best present. This chronicle of an environmental expedition to the South Shetland Islands celebrates the trials and triumphs of cooking in an underequipped kitchen on the far side of the world. One recipe begins, “Collect living kelp”; another features chicken bouchées attached to a board with nails, with a note that toothpicks may be used at home. All will be of interest to the adventurous cook. Lovely Paste review by Sara Bir, an author and food writer who also admits a big love for Antarctica and hours spent ruminating how much the early explorers on Shackleton’s Imperial Antarctic expedition stuck on Elephant Island must have obsessed with thoughts of food.